SIMPLIS Technologies attended APEC 2019 in Anaheim, CA on March 17-21, 2019. 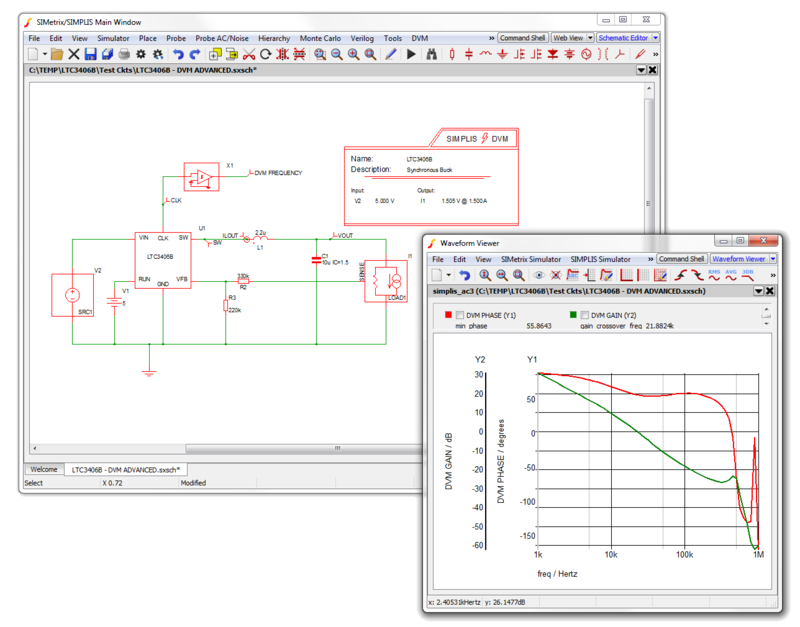 SIMPLIS Technologies is the creator of SIMPLIS, the leading simulation engine for switched mode power supply design. In partnership with SIMetrix Technologies Ltd, we develop and market the SIMetrix/SIMPLIS software bundle providing unmatched capabilities for the power electronics designer. For users and managers new to SIMetrix/SIMPLIS, the What is SIMPLIS? materials guide you through the process of installing the free SIMetrix/SIMPLIS Elements program, opening up the example schematics and completing the short interactive demonstration that will bring you up to speed on the accuracy and capabilities of the tool. Those looking to take the next steps with SIMetrix/SIMPLIS are strongly encouraged to read through the Learning SIMPLIS materials which incorporate the SIMPLIS Tutorial, the Advanced SIMPLIS Training materials, and other helpful information.